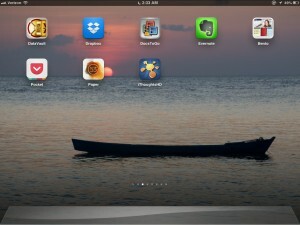 The iPad Mini Experiment – Week 2: Using Your iPad or iPad Mini: Managing Documents, Files and Data. In this video Professor Wandt examines methods to manage, access and manipulate files on iOS 6 devices such as the iPad or iPad Mini. Professor Wandt examines Dropbox, Evernote, Docs2Go, Bento, Pocket, Paper, iThoughtsHD, iWork for iOS, OmniFocus, Remember the Milk (RTM), Notes and Reminders.